VRS - What is it ? VRS Stands for Virtual ReScan. This is a software that allows one to scan a document andadjust the image quality "on the fly" by using a slide bar to render the image exactly what one would like to save, without having to change the settings then rescan the document with the new settings. VRS has many more features, but that is the principle of VRS. 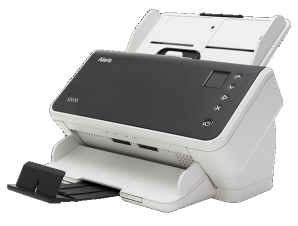 The other features are designed to enhance the scanning experience by the user. 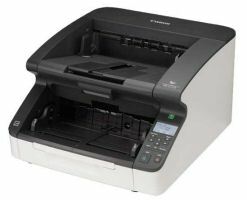 Features such as auto cropping, blank page detaction, auto color detection, bar code scanning and others make scanning in batches that much easier. Why Kofax VRS? In the dark ages (1993-2003) most scanners came with basic software that only generated an crude image. Users had to have another software to process and clean up the images and make it legible for others to read. In those days, you scanned at one station, and image processed at another station before you stored the image. Kofax came along and created software that interacted directly with the scanner and created the finished images "on the fly". 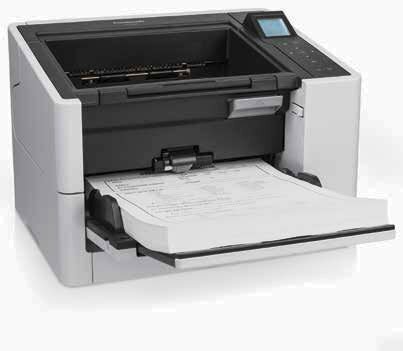 Today the software has many features needed by people whom scan a lot of documents every day. Most of today's scanning and image cleanup can be handled by the software provided by the scanner manufacturers however, if you have images that are constantly in poor condition or a great deal of images to process then VRS Elite is designed to meet those needs. inheriting the features of the lower versions. VRS Basicreduces the time involved in manual document preparation and enhances the quality of scanned images, dramatically improving both manual scanning, productivity and the efficiency of document capture processes. Includes all the core features of image processing like Auto Crop, Auto Deskew, Edge Clean-up, Brightness, Speckle removal, and Gamma Correction. VRS Professional Includes all the core features of image processing like Auto Crop, Auto Deskew, Edge Clean-up, Brightness, Speckle removal, and Gamma Correction. Then the Professional version includes such features as Auto Orientation, Auto Color Detection, Blank Page Detection and Auto Contrast Image Clean-up. VRS Professional is NOT for sale and is only found bundled with a Manufacturer's scanner. VRS Elite Includes all of the previous features and adds: Enhanced Bar Code processing, Edge Fill, Hole Fill, Intelligent Halftone and more. Kofax Express is a powerful, all-in-one, easy-to-use, batch-oriented document scan application capable of high-speed scanning with real-time image display, indexing, and bar code detection. It is designed for less complex applications and makes it easy for anyone to quickly scan, index and export documents for fast and easy retrieval. Please view the pages links at left to review the different versions.